Have you ever gone to the movies? Have you ever gone to a movie late? 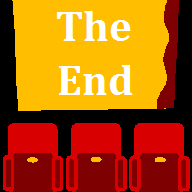 Did you watch The End of the movie first? Your friends had to tell you what happened at the beginning. Well, my friends we have all arrived at the greatest movie ever at The End. Luckily we do have some friends who arrived much earlier. I am sure that they can tell us how it started. You know, it is strange. I heard from them and even though they saw the movie at the beginning, they told me how it ended! It is fun to watch a movie with your friends. You can share a common experience. We all share a common experience with a couple of people who lived a long time ago. Around 550 BC the prophet Jeremiah told us that Damascus would be destroyed. He told us that the people of Damascus would flee. They are fleeing now. Jeremiah prophesied the beginning of this event. We are all here to see its ending. It is no fun to go to the movies alone. Jeremiah wasn’t alone. He arrived at the same time as his friend Ezekiel. Ezekiel says that Israel will be invaded by some Middle Eastern nations at The End. He said that a Turkish leader will lead Turkey, Iran, Sudan, and Libya in an invasion into Israel. How do I know that this Invasion happens at The End? Ezekiel told me himself. Ezekiel says that the villain named Magog, will have an evil thought. He will suddenly decide to invade Israel with the other armies that are with him! Magog is a leader of Turkey. Eze 38:10-12 Thus saith the Lord GOD; It shall also come to pass, that at the same time shall things come into thy mind, and thou shalt think an evil thought: 11 And thou shalt say, I will go up to the land of unwalled villages; I will go to them that are at rest, that dwell safely, all of them dwelling without walls, and having neither bars nor gates, 12 To take a spoil, and to take a prey; to turn thine hand upon the desolate places that are now inhabited, and upon the people that are gathered out of the nations, which have gotten cattle and goods, that dwell in the midst of the land. So here we all are at The End of the movie. The people of Damascus have fled. The same armies that the villain Magog will invade Israel with are fighting in Syria. Turkey and Libya are fighting to destroy Damascus. Iran and Sudan are fighting against Turkey and Libya. After Damascus is destroyed, will the Prime Minister of Turkey, Recep Tayyip Erdogan have an evil thought? Will he decide to invade Israel with the armies of Iran, Sudan, and Libya? I haven’t seen The End of the movie, but that’s what my friends tell me. Keep watching. It is amazing that we all got tickets! I am stating this here because there was no place to say this at what will Jesus look like when he comes for us at the rapture. You mention the cloud or whirlwind. How did God lead the children of Israel after they left Egypt? A cloud by day and a pillar of fire by night. A whirlwind. That’s how Jesus rolls. The book of Nahum says that the Lord is in the whirlwind. Nahum is talking about God’s judgement on the city of NIneveh. Sounds to me that Jesus Christ was in the storm clouds that flooded NIneveh. Today Mosul is NIneveh. It could be that the Lord will send a tornado to breach the Mosul dam and flood ISIS in Mosul.